A couple of weeks ago Baha'is around the world celebrated the 200th anniversary of the birth of Baha'u'llah. The way this Holy Day was celebrated looked different in each community. Where we live there are two cities right beside each other, as well as several smaller surrounding communities, so a taskforce was set up to plan a big celebration bringing everyone together. In the weeks leading up to the celebration I had the chance to talk to a couple of the members of the taskforce. One in particular was also responsible for our community's Birth of the Bab celebration being held the same weekend. I was helping with that event so I was able to hear a bit more about the planning process. I must say, the responsibility they had was huge. When I start to think about how many of these events were taking place around the world, and what efforts people were putting in behind the scenes to make it all happen, my head starts to spin. Hats off to all the organizers out there. When my husband and I walked into the celebration we were blown away by the sheer number of people in attendance. There were clearly far, far more people there than actually belonged to the Baha'i communities themselves. Of course we knew in advance that there would be, since we'd been encouraged for many months at feast to invite friends and neighbors, but our minds hadn't really wrapped around the magnitude of what that would look like. It turned out to be so big that we couldn't even find other family members who had come in a separate car. The program itself was thoughtfully planned, joyfully presented and full of delight. 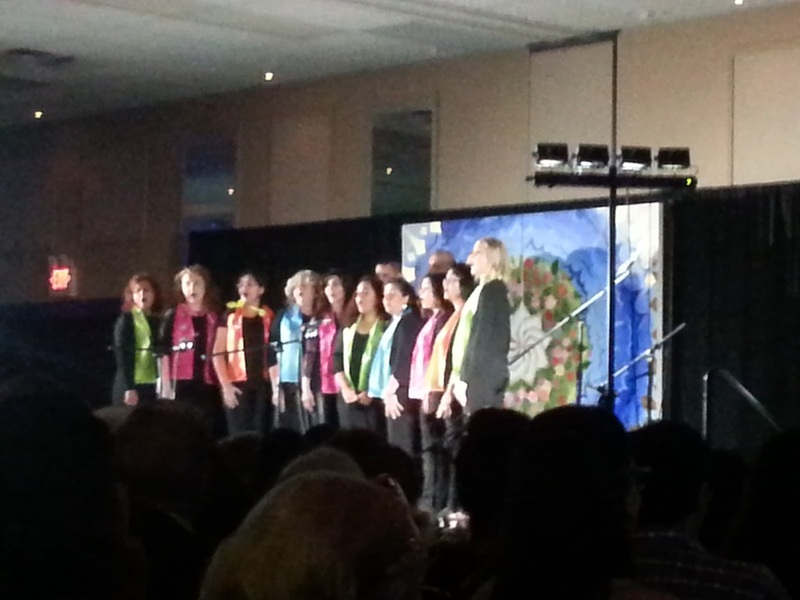 It included music from both an adult and a children's choir, devotions, junior youth presentations, stories from the life of Baha'u'llah, and a variety of dancers from different cultures. It was followed by refreshments and socializing though, as I mentioned, the numbers made it challenging if you wanted to say hello to specific people. In two years it will be time to celebrate the bicentenary of the birth of the Bab. This is quite an exciting time to be a Baha'i. It will be interesting to see what takes place in those two years. The adult choir performing at the bicentenary celebration.